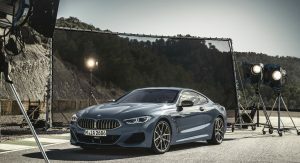 BMW has finally pulled the wraps off the new 8-Series Coupe at Le Mans, following various leaks, countless scoops and reports on the new Bavarian flagship model. 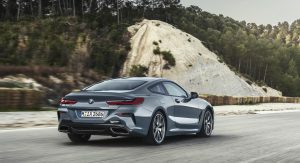 BMW is keen to point out that the new 8-Series Coupe’s primary objective is to offer thrilling driving dynamics. 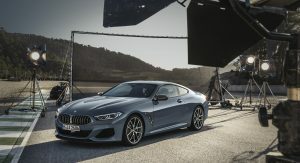 The chassis, powertrain and suspension were honed to offer “supreme agility, precision and poise expected of a topclass sports car”, which sounds pretty bold if you consider that the 8-Series is also considered a luxury coupe as well. 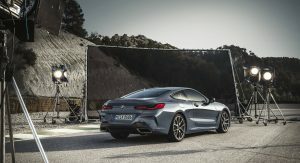 Perhaps this is why BMW chose Le Mans to unveil the new 8-Series, in order to establish the sporty credentials of its new flagship coupe. 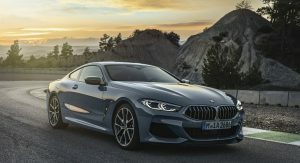 The exterior design of the new 8-Series is sleek and dynamic, blending muscular surfaces in a cleaner package that looks and feels 100 percent BMW. 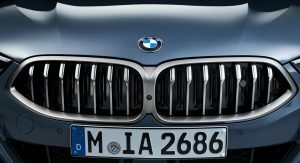 Of course, the huge kidney grille helps bystanders into figuring out rather quickly its Bavarian roots. 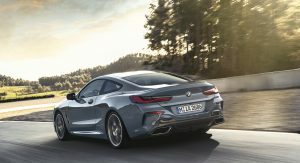 The new BMW 8-Series measures 4,843mm in length, 1,902mm in width, 1,341mm in height and features a 2,822mm long wheelbase. 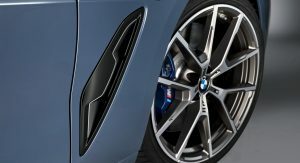 These dimensions give the new BMW a very dynamic stance on the road. 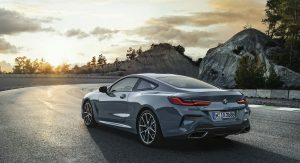 At launch, the new BMW 8-Series will be available with two engine options. 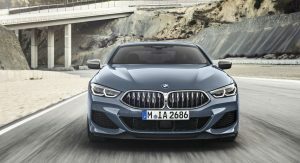 The 840d xDrive is powered by a 3.0-liter TwinPower Turbo diesel six-cylinder unit with 315hp (320PS) and 580lb-ft (680Nm) of peak torque from just 1,750rpm. 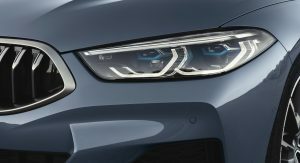 BMW says it’ll do 0-62mph (100km/h) in 4.9 seconds and it’ll be the cheaper option of the range, at least for customers in Europe. 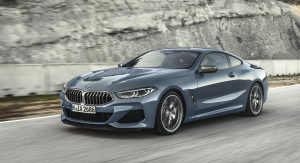 The other version is the M850i xDrive, which is powered by a new twin-turbo 4.4-liter V8 with 523hp (530PS) and 553lb-ft (750Nm) of peak torque from 1,800rpm. 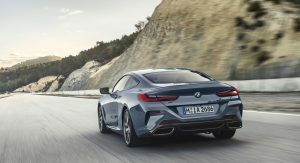 The new BMW M850i xDrive is capable of pulling a 0-62mph (100km/h) in a very impressive 3.7 seconds. 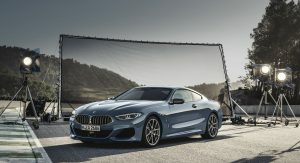 Both models are paired to an improved version of the eight-speed Steptronic Sport automatic transmission, which features new management software and optimised hydraulic control in order to offer not only sportier gear shifts but better efficiency and smoothness as well. 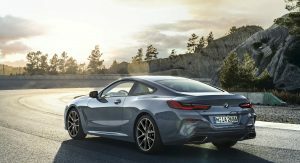 Standard equipment includes the Adaptive M suspension with electronically controlled dampers on both models, as well as BMW’s Integral Active Steering. 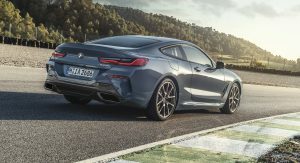 Those who will opt for the M850i xDrive will get to choose active roll stabilization between the options. 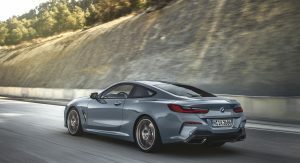 A full range of active safety systems is also present, and includes things like Active Cruise Control with Stop & Go function, the Steering and Lane control assistant, the Lane Keeping Assistant with side collision protection, Parking Assistant, and the list goes on. 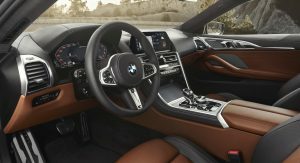 Get inside and the new BMW flagship welcomes you with the latest “Operating System 7.0 display and control concept”, which is the company’s name for the displays in the instrument cluster and on the dashboard. 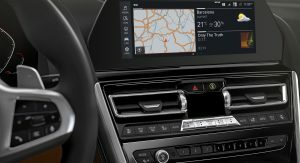 The latter measures 10.25 inches in diameter and is operated by touch, voice or the iDrive controller. 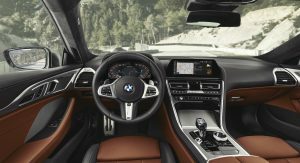 The digital instrument cluster measures 12.3 inches in diameter and offers several settings and graphics to suit every mood. 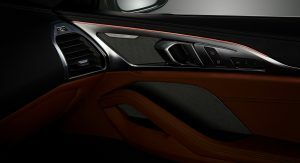 Options include a new gear selector made out of glass. 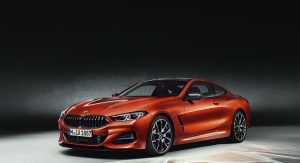 BMW thinks there’s a gap between the Mercedes S-Class Coupe and the Porsche 911 and the new 8-Series claims to offer the best of both worlds: a thrilling sports car driving experience paired to a luxurious cabin that never stops to impress. 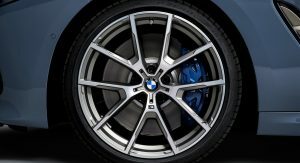 Good job BMW. It has been a while. 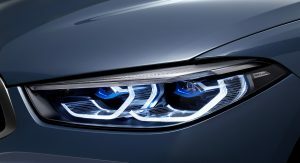 BMW is back in business!!!! Grilled kidneys, eh? Are they good? Exhaust cutouts are on the large side. I suppose it could be worse. 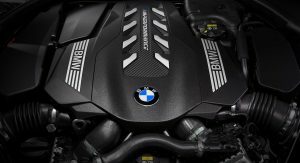 Why to put a diesel engine on this car? Whyyyyy???? 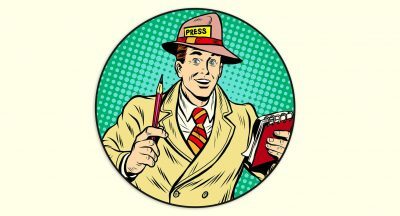 Where’d you see that info? 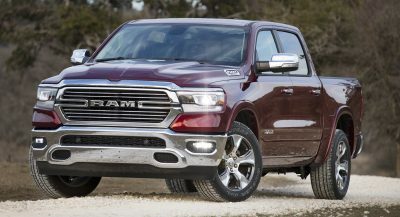 I saw nothing about a diesel engine (which honestly I feel as though it should have one). 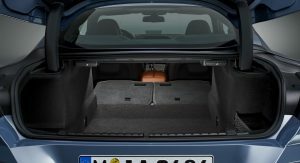 Yes, some will come with the option of a diesel engine in Europe. I really don’t like the new cluster design. Other than that, the car looks very good. Which cluster? 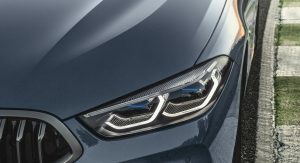 Headlight cluster? 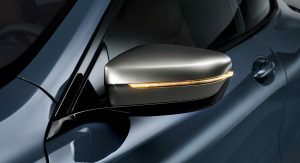 Taillight cluster? 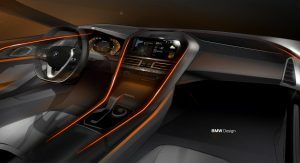 Instrument cluster? HVAC cluster? 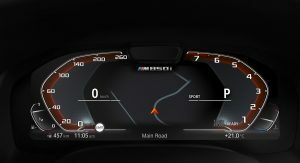 My bad, the instrument cluster. 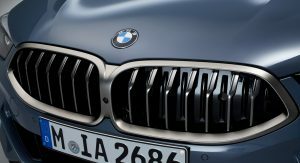 Though the HVAC one also looks like an afterthought, just like in the new X5. i dont like 2 things…. other than that its very nice! i completely agree with the fist point! 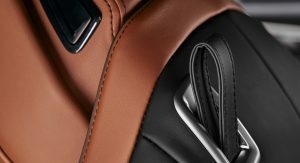 i hate it when luxury manufacturers put cheap black plastic buttons in the car. 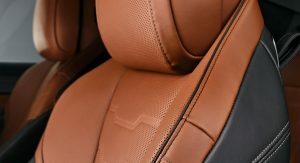 they should offer aluminum or at the very least color match the plastic to the leather trim. 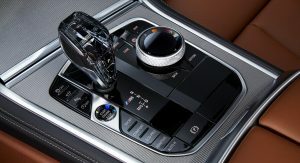 Mercedes knows this, even Genesis uses aluminum buttons & switches! It’s the right kind of evolution, reasonably faithful to the concepts. 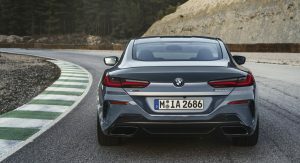 But I’d like to have seen a more muscular looking rear three-quarters above the back wheels. 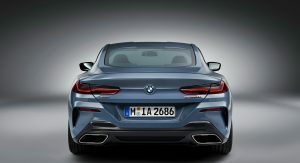 That’s what the M8 is for. As I’m looking at these photos, I can feel this car’s value depreciate in front of my very eyes. It’s uninspiring and a missed opportunity. Pointless. 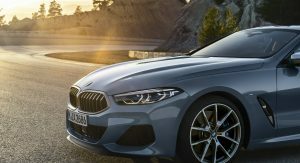 A portly 4-series, no thanks. Finally, some reason here. 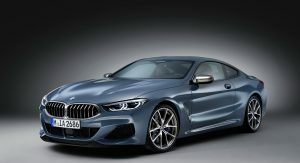 How is this car not the new 6-Series? It doesn’t have the cache of the original 8. 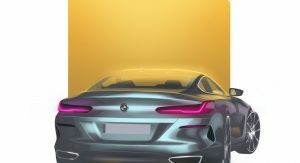 And it is not special like the AMG GT. 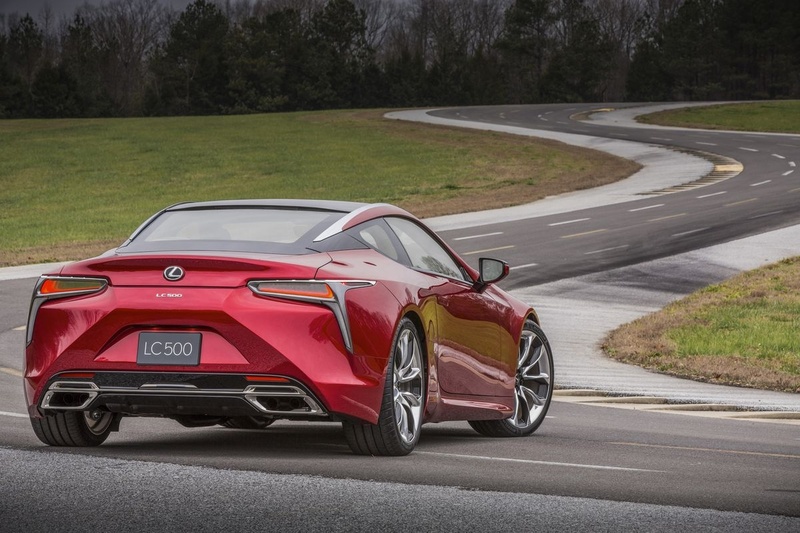 But I would much rather have the LC500 over this any day. Thank you, my thoughts exactly! 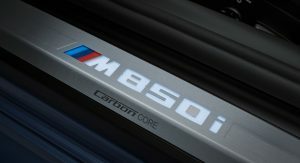 It doesn’t really compete with the S. The S has presence and a true look of prestige about itself. This doesn’t scream luxury like the concept did. They really dropped the ball on this. 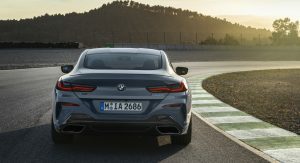 i have yet to see the pricing, but given that this will most likely be $100k+, this not only pales in comparison to the S class, but it should’t carry the LEGENDARY 8 series nameplate. she doesn’t have the range. 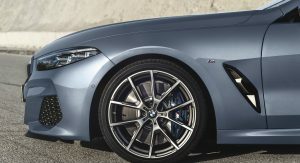 I can’t look at this as nothing more than an M6 series. 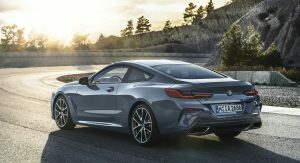 I am old enough to remember when the 8 series was the 8 series. 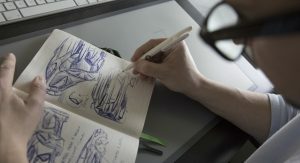 I think the problem is the similarity of design that all brands are guilty of. It’s now very difficult, even for motorheads, to distinguish them. 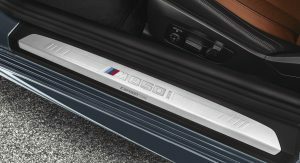 precisely at the time the e31 stood out from every other bmw in the lineup. 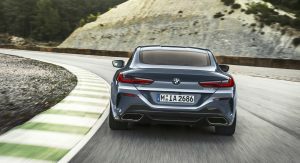 i didn’t want them to make a retro-inspired 8 series, but i think it should have been every bit as bold and daring as the e31 was. i guarantee this wont turn any heads. You ain’t lying. 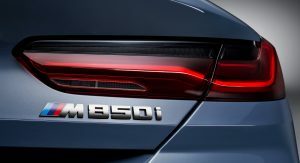 Within the past six years I have given up on naming Audi’s models because they are all so close in identity. 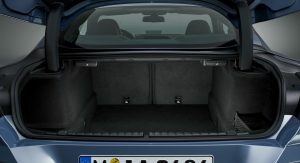 I would always get A4 mixed up with A6 and likewise A6 mixed up with standard wheelbase A8. That’s like everyone who says this reminds them of a Mustang. 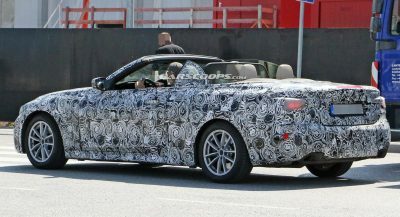 It seems any sizable coupe of angular design seems like a Mustang. But their don’t look like a Mustang in my opinion. You know, I personally think that people enjoy smoking crack. Because I don’t understand them. Wow, colour me surprised. 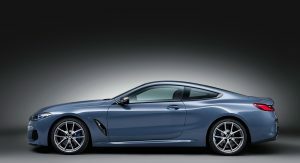 This whole time I’d decided BMW failed at creating an S-Class coupe competitor as it wouldn’t be close to as luxury. 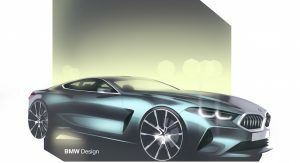 All the while, they seemingly had no intention to create a BMW S-Class. 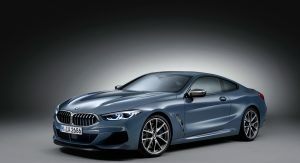 This is the old luxury vs sport, BMW v Merc rivalry again. I’m in love. 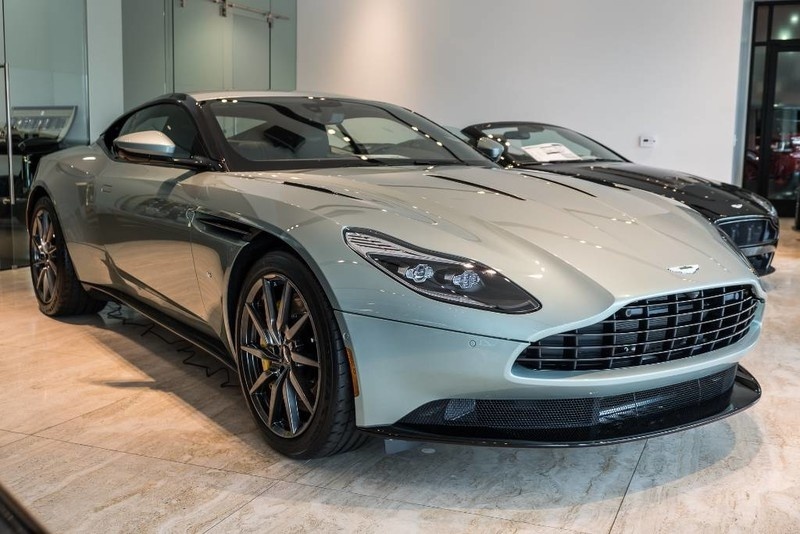 This is one of the most stunning cars I’ve ever seen. LJ, I’m glad that you love it. 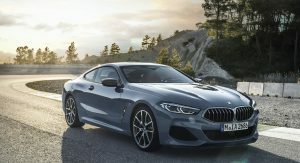 Not bad BMW. 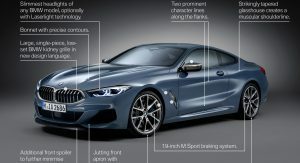 I’m curious to see what the non M-Sport 8 Series looks like. 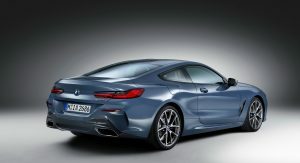 Only bmw that I now like.. but would I get it over a S-class coupe or Porsche.. hells to the no! 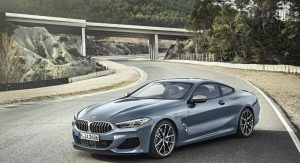 The S-couple still looks more evolved and refined than this bmw.. and the Porsche.. well it’s a Porsche ..
Just to piss off bmw fan boys.. mustang exterior with a Ford Fusion like interior.. there.. 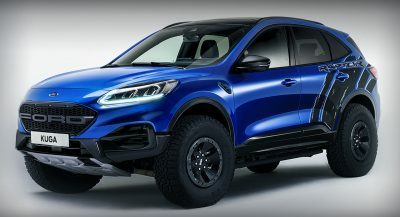 Damn .. it makes the mustang look a little outdated .. ford needs to take note. The 8 is now a rich person’s mustang I guess.. 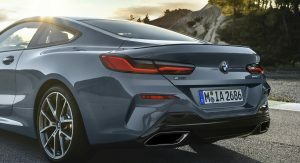 I like it a lot, but don’t feel that it needs the 8 Series name, definitely should have kept the 6 Series name plate. 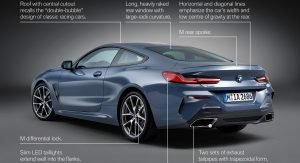 Can’t wait until they bring out the GranCoupe version, as this will fix some of the proportion issues. Massive failure with the goosenecks in the boot area. 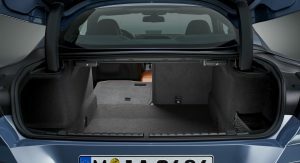 So much lost storage that could have been remedied with smaller hinges and maybe some gas struts tucked away to the sides. Also not a fan of the front fender side vents. Should have kept the concept versions. True.. this is an evolution of the 6.. an 8 must wow.. this is nice but not WOW 8 nice..
Zand, thank you. 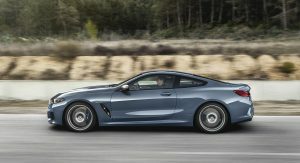 This is not an 8 Series. Mind unblown however, I still like it. It’s classy. Maybe I’d rather have a 3.0 CSi. 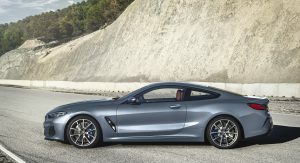 THE ORIGINAL 8 SERIES WAS MY DREAM CAR. 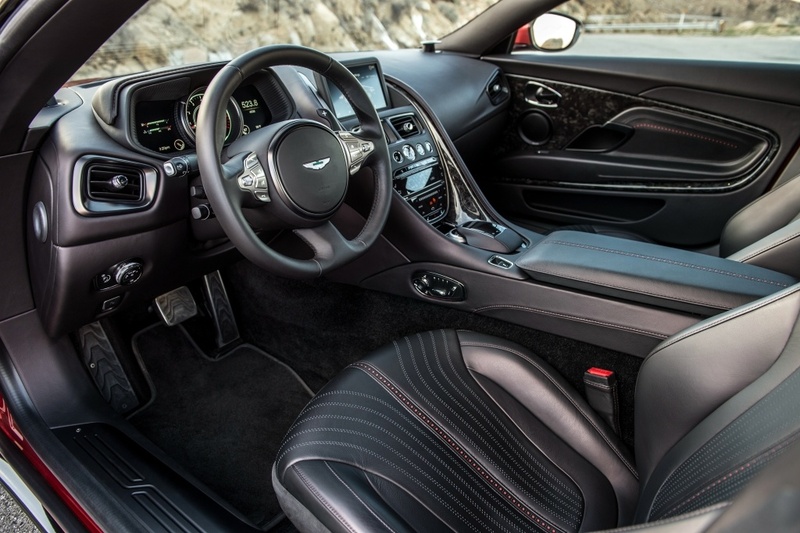 THE ONLY THING I LIKE ABOUT THIS IS THE BASEBALL GLOVE LEATHER TRIM ON THE SEATS. THE REST…MEH. 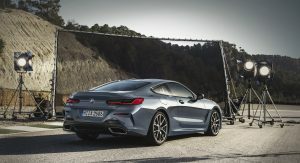 8 series has already lost the competition (for my wallet). Not bad by any means guys, good car. Just not as good as 4 above. 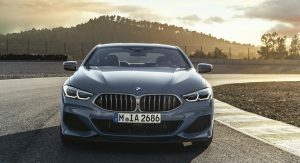 This is 6 series to me. Not 8. Not a sport car. Looks very good with orange. 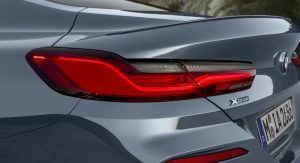 Only the rear lights are meh. 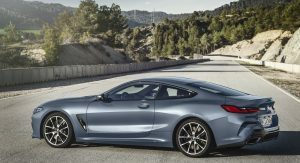 I think they went on the wrong side of the road.This is way of a big car to be a true sports car.This should be a true GT like the S coupe,but it doesn’t have the panache of the S,and God is that interior awful. 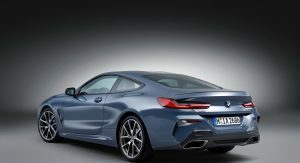 I’m really shocked BMW went this way,they should’ve make this the ultimate S class killer,unfortunately they did nothing. 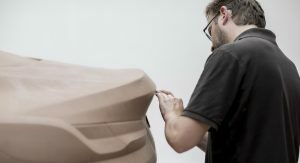 The weight is 4478lbs for the 850i which I would have hoped and kinda expected alot less with how much bmw has invested in their carbon fiber reinforced plastic. 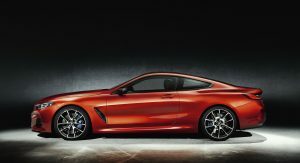 Overall a good looking giant 2-door that looks primed to take on the S-class coupe, or perhaps the Mustang GT! hahaha. 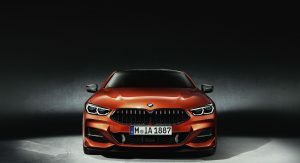 Seriously, it looks like a German Mustang to me. 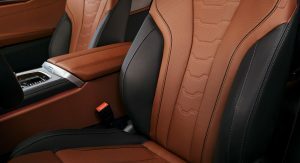 The interior even resembles Ford product like the Taurus interior, etc., and Im not particularly a fan of the design in there. 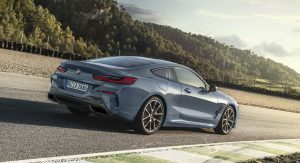 Also, the claim of, “supreme agility, precision and poise expected of a topclass sports car”…c’mon now…this thing will weigh a ton!! Well tons even to be more specific. It’ll be decent on the bends I’m sure but, “supreme agility…”? Keep dreaming. Not a fan of mirror caps that aren’t body colored, but I hope it’s an option. 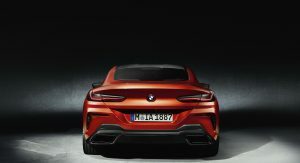 Well done BMW… finally my favourite car brand has their mojo back. 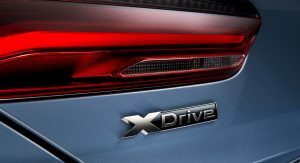 I liked the new X5 and you’ve done a brilliant job on the 8 series. 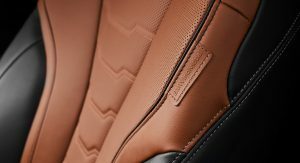 I only hope the material quality and finish is top notch. Great looking car. No doubt the Chinese will have a knock-off in no time. it’s not an ugly car. But, I just can’t get past how much the profile looks like a MUSTANG. 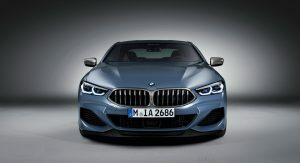 It literally looks like a mustang with a BMW face. But it’s not ugly. 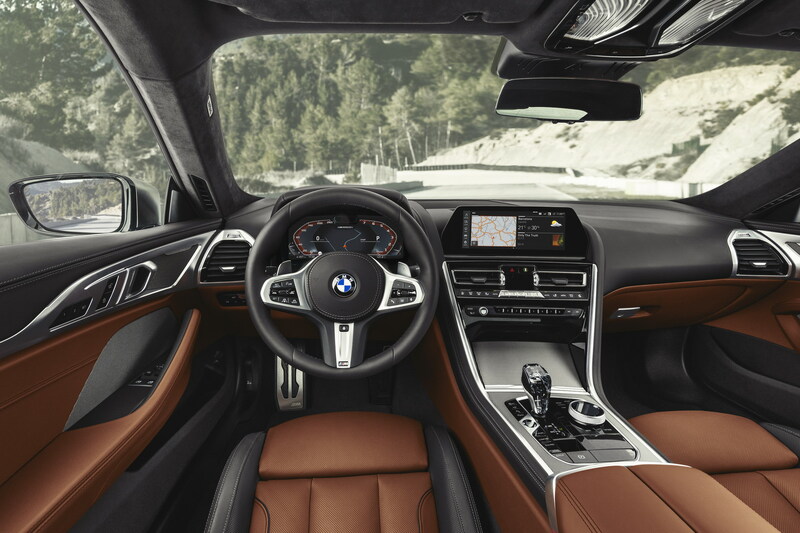 As for the interior……..”meh”. 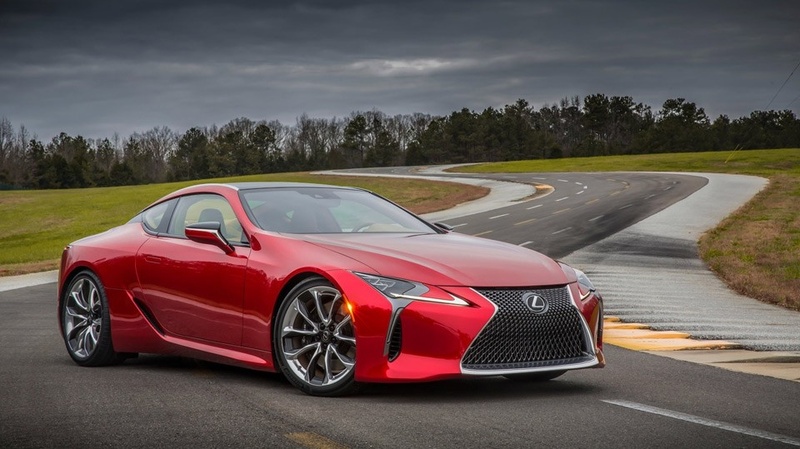 It’s definitely more of a sports car vibe, than grand cruiser like the S-Class coupe. 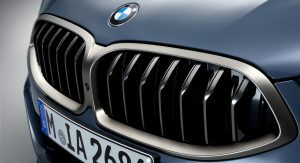 They can try but the E31 is still far more distinguished that this next gen 6 series with an 8 series badge. This thing is just a wannabe. 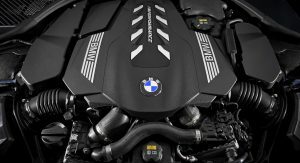 Hmm pass on the Diesel and I am sure the 4.4 will satisfy the Rich Boy, Girl or Other Racers, but how about the Twin Turbo (B58B30O1) Inline 6, with 285 kW (382 hp)500 N⋅m (369 lb⋅ft), that is sufficient for a normal Grand Touring Every day Ride. 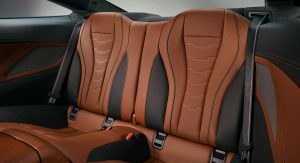 Previous PostPrevious VW Aquila: Have $17,000 To Spare For An Exotic Looking Beetle?